IT49 specializes in developing websites with Appfolio integration. 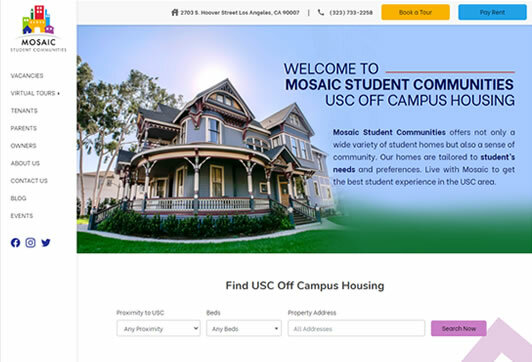 AppFolio is a powerful cloud-based property management software that allows residential, student housing, and HOA property managers to effectively manage and expand their businesses. Your lifestyle in one place! 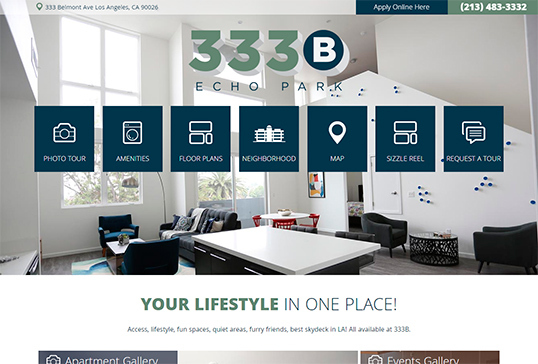 Access, lifestyle, fun spaces, quiet areas, furry friends, best skydeck in LA! All available at 333B. 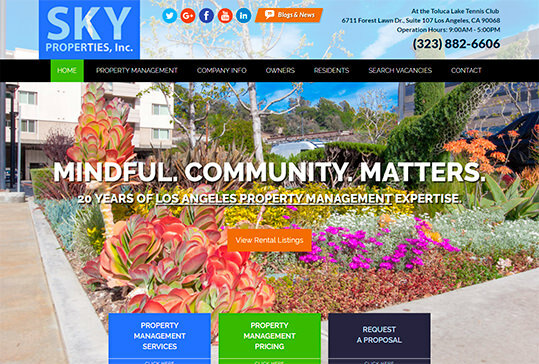 SKY Properties is committed to our clients, our tenants, our team, our community, and the environment with mindful attention to the details. 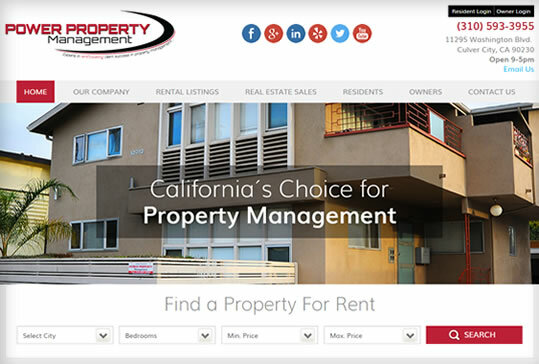 Elly Nesis Company, Inc. has been a leader in property management since 1993. 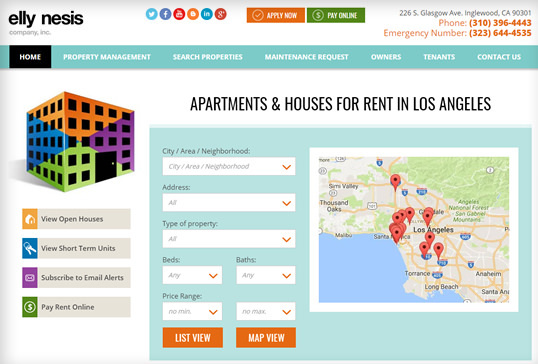 With centralized facilities, they support some of the most beautiful properties throughout Los Angeles. 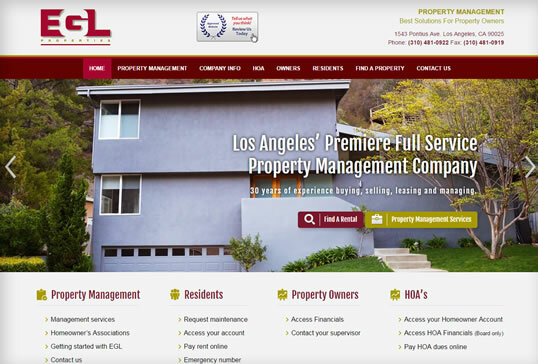 EGL Properties is Southern California’s premiere full service property management company with more than 25 years of managing residential and commercial property in Los Angeles. 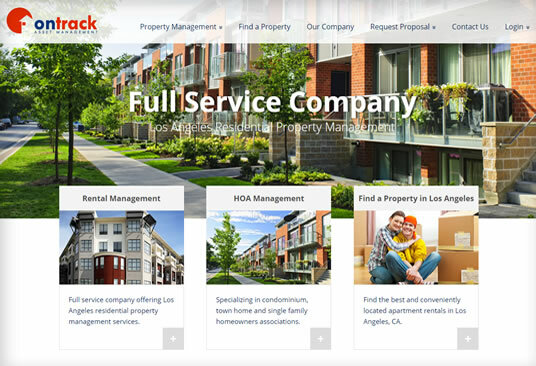 With over 30 years of property management experience in Los Angeles, Ontrack Asset prides itself on providing knowledge and expertise to property owners and tenants.